The awards seeks to recognise the achievements of the maritime industry’s most outstanding performers across the Middle East and the Indian subcontinent and celebrate and reward their successes. The event took place at Atlantis The Palm in Dubai on October 15. 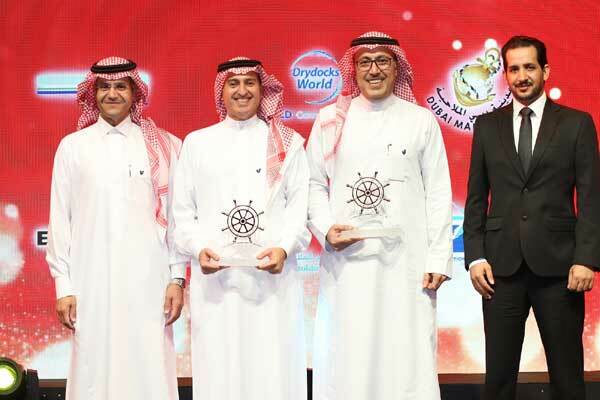 Hisham Alkhaldi, sebior vice president for HR & corporate communications, Bahri, and Khalid Alhammad, senior manager – Vessel Group, Bahri Ship Management, accepted the coveted titles of ‘Shipping Company of The Year’ and ‘Ship Manager of The Year’, on behalf of the company, said a statement from Bahri. Held under the patronage of Sheikh Ahmed Bin Saeed Al Maktoum, president of Dubai Civil Aviation Authority and chairman and chief executive of Emirates Airline and Group, the awards ceremony saw the presence of industry stalwarts and high-profile executives, it said. “These accolades are a testimony to our robust performance driven by the steady expansion of our market footprint and the continual improvement of our maritime capabilities,” he added.